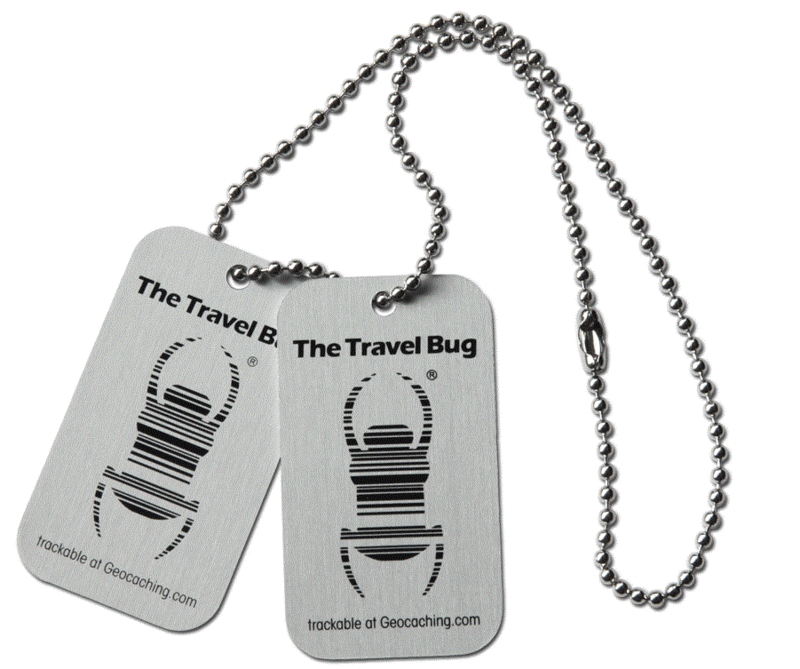 A Travel Bug, or any item trackable on geocaching.com is a game piece. People purchase them and send them out in the hopes that they will continue to travel far and wide collecting stories and photos along the way. They are identified by a number – which may be engraved on them or on a ‘tag’attached to the item. Don’t confuse trackables with normal ‘swaps’ in a cache. You can’t keep trackables – always move them along if you can. Be the first to comment on "Trackables – Geocoins and Travel Bugs"